It doesn't matter if you're an experienced skier or just getting started...Juneau offers a world-class winter destination without all the traffic, long lines, or pricey hotels. Phenomenal alpine and Nordic skiing, snowboarding, and a terrain park full of rails, bumps, and boxes. Eight kilometers of groomed Nordic trails for either classic or skate skiing. Backcountry Options: The fearless among us can head out to the ridges above Eaglecrest for a variety of natural, ungroomed terrain. 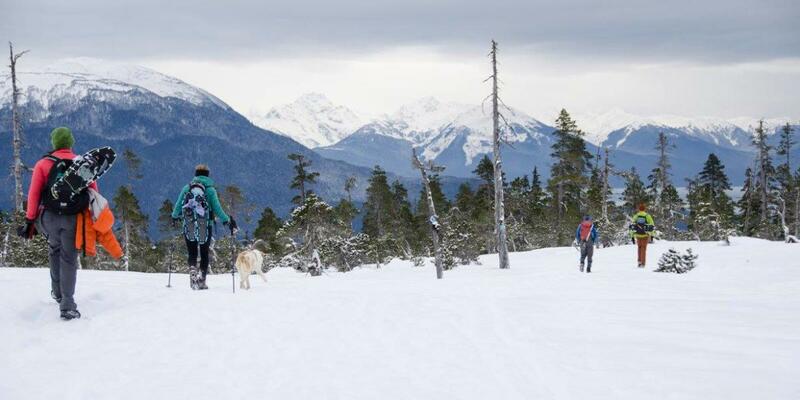 Backcountry skiers will find that Juneau&apos;s numerous summer hiking trails convert nicely to cross-country tracks in the winter. The locals will tell you that the Mendenhall Glacier Lake and adjacent campground offer flat terrain and jaw-dropping views. Heli-skiing Adventures: Skiers and snowboarders who want king-size bragging rights for untouched routes and challenging terrain can explore the mountains surrounding the Juneau Icefield. Experienced heli-skiing operator/guides can provide insider knowledge about great routes and provide that extra safety edge for experienced and intermediate skiers and boarders. For the best skiing and boarding, visit Juneau between January and late March. Wondering what the weather&apos;s like right now? Take a look: 10-day Juneau weather forecast.